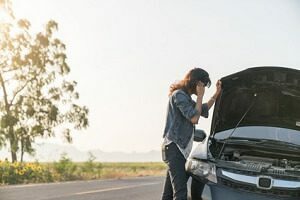 When it comes to providing premium tow trucks, the real question is what type of tow truck is going to help you when you need it. We have been providing quality towing service for our great customers for years, and no matter what type of service you need, you will know that our team will be able to provide you with the services you need! Flatbed Tow Trucks are known as slides in the industry, and are one of the most versatile tow trucks in the towing niche These types of trucks are often the first truck that a company invests in, and no matter if you are looking for medium or light duty towing, a ‘rollback’ truck can often tackle it. The trucks typically have a long empty truck bed, which is a flat bed. There is a hydraulic system in the back to lower the deck up and down, which allows a tow truck operator to drive a car onto the bed without the need for a massively powerful winch. These trucks are often seen as the best option for car towing due to the fact that a car that is being towed is not dragging behind the vehicle. Although not as popular today, the hook and chain tow truck was once a dominating tow truck type throughout North America. A hook and chain tow truck, in fact, tows a vehicle with only two wheels on the ground. These types of trucks are typically only used to drag junk cars to the scrap metal yard as they are known to damage the bumpers and the front ends of the vehicle. The hook and chain tow trucks work by looping chains around the vehicle frame and draw the vehicle aloft via a boom winch. If you call a tow and a hook and chain truck shows up, make sure to take note of damage after the drop your vehicle off at the shop or the yard! Wheel lift tow trucks have become the second most popular option in North America, and mainly due to their ability to not ruin a vehicles front or bumper when towing! These tow trucks work by introducing a metal yoke that hooks under the front or back wheels of the vehicle to allow it to be towed. While the vehicle is towed, the hydraulic lift system suspends the front, or back of the car and will lift it out of the way. 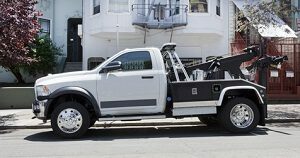 The wheel lift tow truck easily reduces potential damage to the car, and many companies have gone with this type of truck as it easily can fit into smaller parking garages or underground parking. 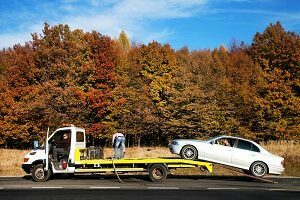 No matter what a tow truck company uses, the most important thing is to ensure that your vehicle can get from point a to b via the tow without damage to the car. From flatbed tow trucks to hook and chain tow trucks and even wheel lift tow trucks, you will quickly see why we always send the right truck for the job!